Last week, we had the pleasure of hosting John Hermano, Vice President Product Management , Michael Domingo, Sr Systems Engineer and Noel de Guzman, Service Operations Manager from Trend Micro. They made a trip to our office to talk with us about their CloudEdge unified threat management (UTM) appliance for small and medium businesses. NetData is honored to be part of the pilot program for CloudEdge. John and his team choose NetData as one of the four locations in the US to visit to gather feedback and answer questions about the new device. CloudEdge has been available in Japan for a couple of years, and Trend is now releasing the technology in the US. As part of the pilot program, NetData was given test units to deploy in live installations to provide real-world data back to Trend engineers. The reason for the visit was to ask us for feedback on usability and demo some new features. 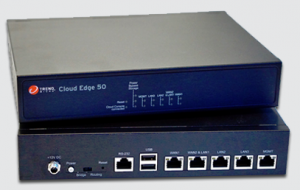 Trend’s CloudEdge UTM appliance is a zero-touch nonintrusive addition at the network edge that centralizes security management in Trend’s cloud-based platform. It combines a physical device with their industry-unique cloud scanning engine. By offloading much of the traffic analysis to the cloud, Trend engineers have been able to greatly improve performance without requiring expensive onsite hardware. One of the major features Trend will roll out later this year is live monitoring of detected threats. As part of the cost of CloudEdge, Trend support engineers will monitor, filter and analyze the alerts before sending a notice to the end user. All high priority notifications are sent to the Trend support team as they occur. They do the heavy lifting, reducing fears of chasing false positives and allowing the network administrator to spend their time on better things. If you would like more information on CloudEdge or would like to see a demo of its features, please contact us at 850-837-7638 x200 or email us at [email protected]. We would love to talk to you about the many ways Trend Micro is helping keep your network, and your users, safe. Additiontal information is available and datasheets for CloudEdge here: https://resources.trendmicro.com/cloudedge.html. Information about Trend Micro’s other products and services is available here.